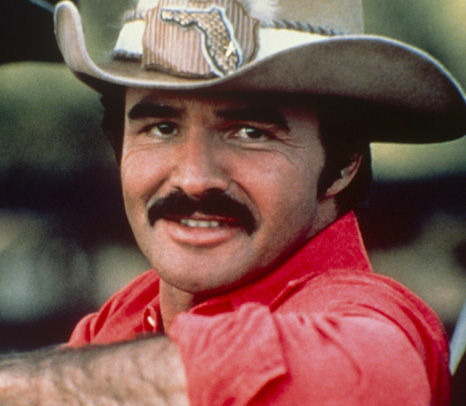 Burt Reynolds (1936 – 2018) was one of the biggest stars in Hollywood during the 1970s and 1980s. The magnetic actor was known for his roles in "The Longest Yard," "Deliverance," and the "Smokey and the Bandit" movies. He was nominated for an Oscar for his supporting role in "Boogie Nights." On television, he starred on the CBS sitcom "Evening Shade" in the 1990s. He died at the age of 82. For full coverage and obituary from Legacy.com, click here. Get email updates about Burt Reynolds delivered directly to your inbox. Great talent comes in many packages, that's what make it a special gift. May you find peace and solace in the coming days from the promise made at John 6:40. I liked him in Gunsmoke, his portrayal as Quint was very good. You brought so much love and entertainment to the world. Thank You .Prayers for your family. BURT WILL BE MISSED AND NEVER BE FORGOTTEN, WE WILL REMEBER HIM IN MOVIE THAT HE DID, MADE US LAUGH LIKE SMOKEY AND THE BANDIT AND HOPPER WITH HIS CO-STARRED SALLY FIELD, THE TELEVISION SHOW EVENING SHADE MARILU HENNER WHO CO-STARRED WITH HIM AND I REMEMBER SEEING HIM ON THE JOHNNY CARSON SHOW.